Keule & Elisa puppies due in early May. Mila’s new mom shared this amazing story, and I just had to share! 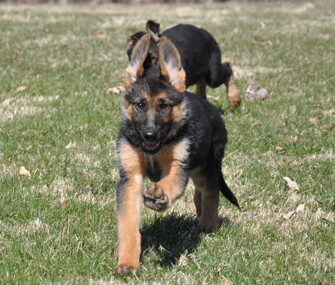 A couple of Karo & Irana German Shepherd Puppies at 10 weeks old. 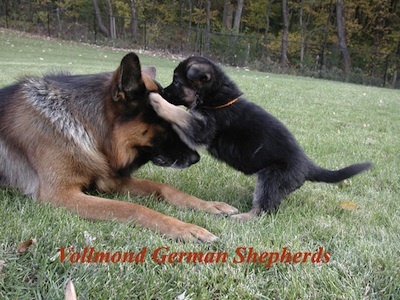 We are a hobby German Shepherd breeder located in Illinois just outside of Chicago. We are a breeder of top, world-class quality German Shepherd puppies of West German bloodlines with impeccable Temperaments and type. If you are looking for a German Shepherd puppy or an adult dog suitable for confirmation, obedience, therapy, assistance dog, search and rescue, K-9 training, schutzhund or for the ever present loyal companion... we can help you!! 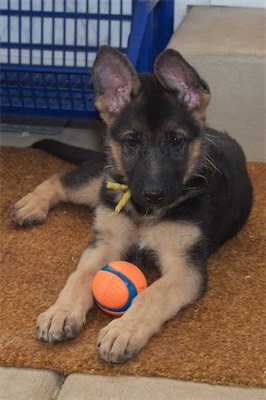 Occasionally, we do have long coat German Shepherd puppies available as well. All litters are raised in our home, well socialized and each held and cuddled several times a day. The result is a pup that is comfortable around people, children, vehicles and other animals. It is not uncommon for our puppies to be housebroken by the time they leave our house. I have been actively showing and breeding since 1996, and have always had West German lines. I use the pronoun "I", but could not do this without backup from my family. 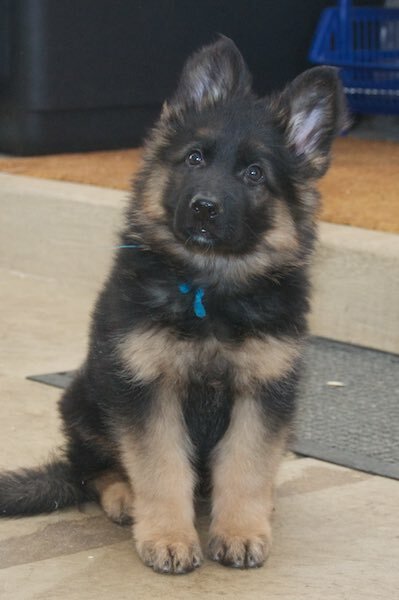 I breed because I love German Shepherds. 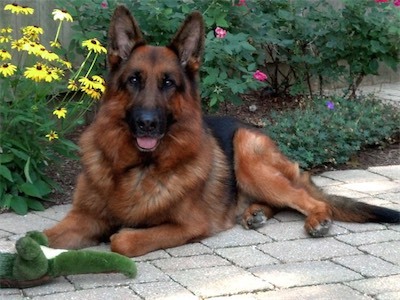 Quality German Shepherd breeders follow the German rules. With my puppies, I strive to improve this wonderful breed. This is not how I make my living, but how I choose to spend my time. Our German Shepherd puppies are all wormed, given the appropriate shots, and Vet checked before leaving to go to their new families. 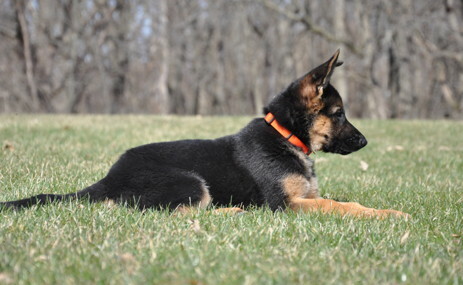 We also offer puppy foundation training in obedience and Shutzhund training, ring training and show support. Please call for details. Vollmond's Laro is a Karo son out of our own breeding to Vollmond's Eika. We are Proud to say he is a 2nd generation Vollmond dog!! For therapy or just exercise, swimming is great for german shepherds. Kai has been swimming to supplement his regular exercise at a terrific new place with an indoor, heated, resistence pool specifically designed for canine therapy and exercise. Our dogs and puppies are on NuVet Plus Natural Supplements.